You will be happier, more fulfilled and prosperous when you Create The Life You Want – when you are living the life you’d love to live. Your happiness depends on having the freedom to enjoy life to the full. That means that you have to be doing what you love to do. It also requires that you earn sufficient money to be able to enjoy an interesting life. Work out what you love to do. Make what you love to do into a product or service that you love developing. Research who needs your product or service. Build a website to sell your product or service. Attract people to your website who order your product or service. Enjoy living the life you have always wanted to live. That all sounds easy enough, but…. I have read dozens of “how to” books and attended many seminars and workshops, but none of them really got to the nitty-gritty. At the end I was clearer about what I had to do, but somehow I couldn’t quite manage to make it work for me. Do you recognise where I’m coming from? 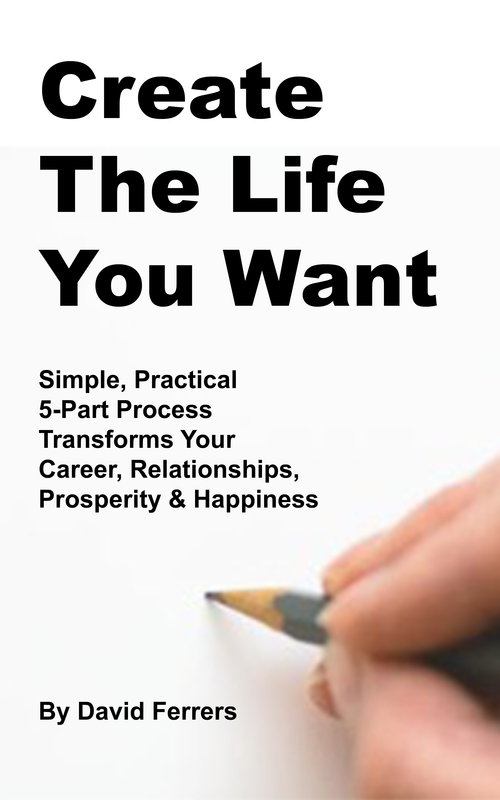 I wrote a book entitled Create The Life You Want. The book tells you everything you need to do to live a fulfilling and prosperous life. Then I went a step further and created a 1-day workshop which will help you to discover what you love to do and how to make that into a business. Then I went even further and created a 7-day workshop where you bring your own laptop or pad and together we build a website that will give you the regular income that will allow you to live the life you’d love to live. Not only do you build a website but you also build a system that will bring visitors to your website who need what you are offering. Then I set up an on-going, online support network that will be there to help you should you get stuck. Many people dream of living a life that’s different from the way they live now. But that’s all it ever is, a dream. Only a few dreamers ever have the ‘get-up-and-go’ to actually take the first step and do something to turn their dream into their reality. Are you just a dreamer, or do you have that ‘get-up-and-go’ to create the life you want? It’s time to discover your passion.